Rickmansworth Community Festival, run by Waterways Trust. Rickmansworth Aquadrome is among the very best parks in the UK as it retains its Green Flag award. The park is among a record-breaking 1,686 parks and green spaces that received a prestigious Green Flag Award – the mark of a quality park or green space. A Green Flag flying overhead is a sign to the public that the space boasts the highest possible standards, is beautifully maintained and has excellent facilities. The Rickmansworth Festival takes place on the third weekend of May every year and celebrates canals, the community and the environment. The Festival now occupies part of the Aquadrome, the towpath between Stockers Lock and Batchworth, and the area round Batchworth Lock. You'll find a range of music and performing arts, displays and presentations, traders, boats and catering. 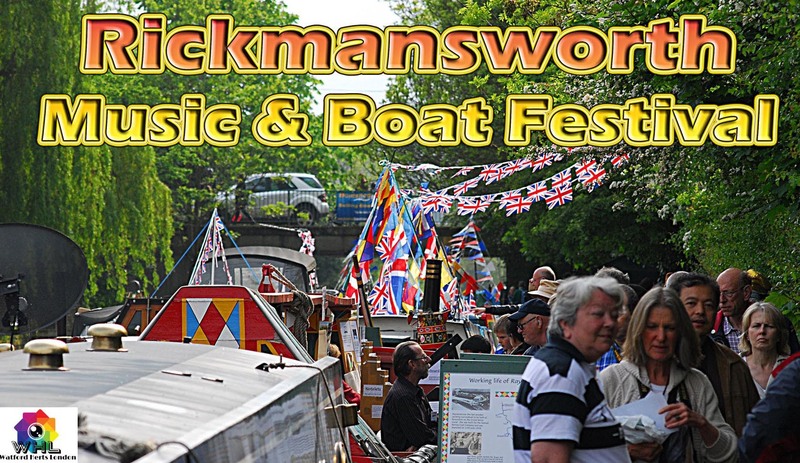 The Rickmansworth Festival started as a purely canal based event in 1993, as part of the British Waterways "Canals 200" celebration that year.